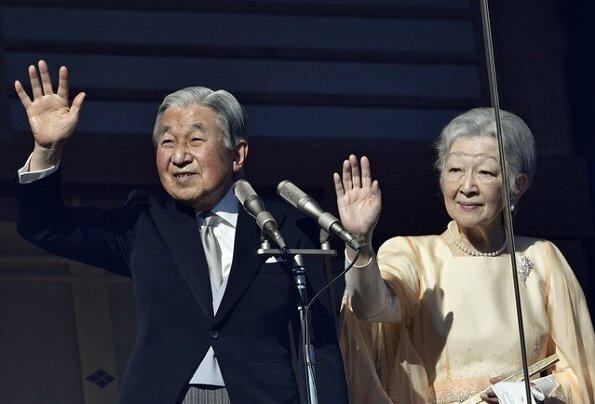 Today is December 23 and Japan's Emperor Akihito celebrates his 84th birthday. 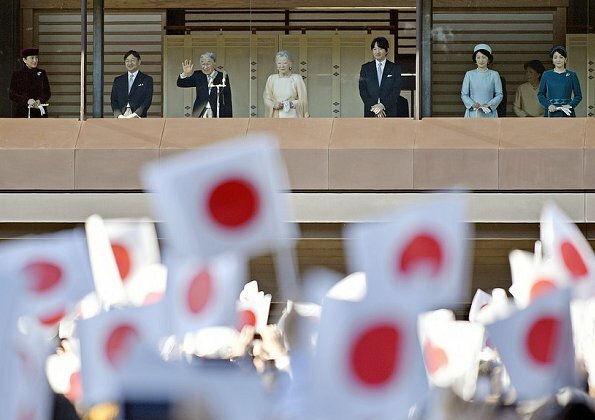 Thousands of well-wishers gathered at the Imperial Palace in Tokyo on Saturday to celebrate Emperor Akihito’s 84th birthday. 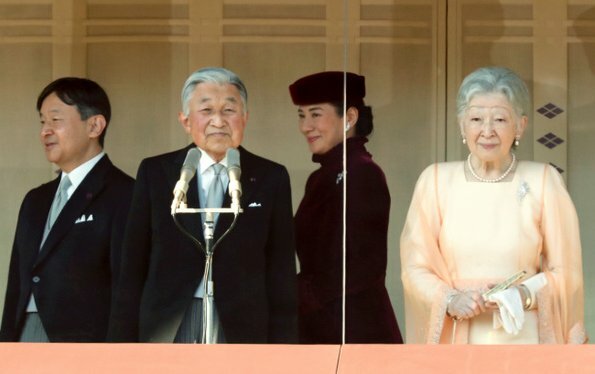 Japan's Emperor Akihito greeted the public with Empress Michiko, Crown Prince Naruhito, Crown Princess Masako, Prince Akishino, his wife Princess Kiko and their daughter Princess Mako at the Imperial Palace on his 84th birthday. Happy birthday to you Emperor Akihito. 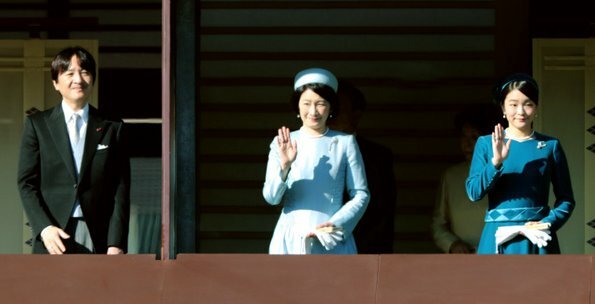 Happy birthday Emperor Akihito and many many more! 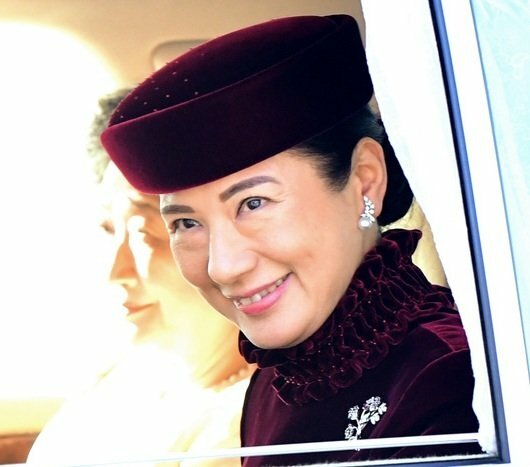 Empress Michiko is in a class of beauty and grace all of her own. Truly stunning. 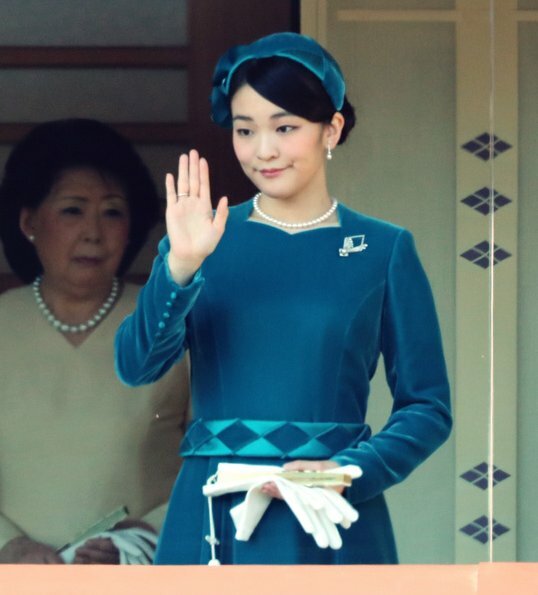 Masako looks wonderful, lovely colour..